Online businesses and blogs are dependent on search engines like Google and Bing for loads of generic and organic traffic. People across the world are making millions of searches every hour. Some of them are searching for services while some of them are looking for products. If you have worked hard on your site and the search engine optimization then there’s a higher probability that you will gain some good number of customer from these search engines. Search Engines like Google are not just providing you with the traffic; they also bring to you a new portal where you can analyse the performance of your website and blog. You can analyse the incoming traffic, conversion rate and the other related stuffs. Google Analytic helps you in understanding the web in a better way. You can analyse the competitive sites and decode their pattern of working and optimization. You can learn a lot about and the search engines if you make optimum use of Google Analytics. For a newbie in the field of technology these all will sound bizarre and look like a mess but with the time it will start making sense to you and then a time will come when you will eat and live on these analytics. In this sabbatical post of ours we will help and guide you in establishing better reports by making optimum use of the Google Analytics. 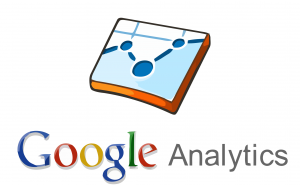 Do You Need Google Analytics? If Yes! Then Why? Consider this, you have an online store in India and you sell DSLR cameras there. Currently you are targeting Indian Audience. Foundation of every business is based on the research like Audience base, market requirement, if this were a physical store then these characteristics would have been conspicuous and you would have calculated these things on your fingers but now that you are online, you cannot do this on your own and hence so you need Google Analytics. Google Analytics will help you in understanding the market better and in your case ‘Indian Market’. The setup is very easy; all you need is the basic understanding of Google Account. Having an email account on Gmail is a must. A report suggested that 76% of Indian business owners make use of Google-mail for their official work. A Gmail account leverages you with license to have an account on all the requisite platforms across the Internet. You will need to navigate to the Google Analytics and then click on Create an Account option. You will need this account to keep the tracks of all your e-commerce sites. Here you will need to fill all the details of the website you want to analyse and keep track of. Fill all the details with great intricacy. Now navigate to the Get Tracking ID and get the tracking code. On this page, you will see a code. This code will get embedded with the codes of your site and will develop a cosy relationship between the site and the Google Analytics. Now you are all set to make the use of Google Analytics. Google has made analysis easier for entrepreneurs. If you are an Indian then you can use Google Analytics to check out the outreach of your innocuous business. This tab allows you to keep an eye on all the things happening currently on your site. It brings to you the intricate details of the customers on your site. You can use this tab to know more about the customers currently online on your site. This tab is boon give it leverage you with the information about the location from where the online users got the link to your site. Leverages you with the option to know more about your sales and conversion rates. Google has designed this unique software to allow entrepreneurs from different corners of the world to understand how internet works in a better way. · Identifying the sources of regular traffic on your site. You can use this info and spend more time and money on that specific site for deriving more traffic and customers. · Understanding the issues related to failure in conversion. You can identify the countries and the states of the customers and you can keep an eye on their requirements. · Understanding how other sites are using your site for deriving traffics on their site. You can use this information to help your business grow in a way like never before. Google Analytics has given wings to Entrepreneurs in India and across the world. The entrepreneurial world in India is amateur; you can make use of such information and achieve clamoring success. If You Dont Have Your Own Online Store, Go And Get It By Clicking On The Link www.worldmart.in And Start Your Business Online. and I expect those numbers to grow in 2015. Not sure if Facebook's "buy button" will take off, but the call-to-action buttons they just announced will be popular! Very Good post which can be very helpful if we implement to get the performance of our business. whether when you're working in the field overnight, on an expedition, or going to your favorite team's football game. Order your warm fleece or wool Military blanket online or buy in store in Metro Detroit!